Jennifer Marlon is a Research Scientist in the School of Forestry & Environmental Studies, and produces the Yale Climate Opinion Maps for the YPCCC. Her research focuses on the social and physical dimensions of climate change, particularly extreme weather events and past climate changes. On the social (human dimensions) side, she uses surveys, experiments, and modeling to understand how people perceive and respond to hurricanes, heat waves, and other climate-related changes. On the physical side, she uses sediment records to reconstruct and understand past environments, including changes in wildfires, vegetation, and climate. Jennifer holds a PhD and MS in Geography from the University of Oregon, and a BS from the University at Albany, State University of New York. Jon Ozaksut manages digital output for YPCCC. He joined in 2017 with 9 years of experience in the fields of digital marketing and advocacy through organizations such as Organizing for Action and Reverb.com. In his work, he has developed email programs, social media campaigns, and messaging strategies built around a user-centered experience and a desire to share stories in ways that resonate with audiences. Jon is inspired by the challenges inherent in communicating climate change, and eager to develop YPCCC’s methods of engaging with the broader online community. He received his BA in psychology from the University of Illinois at Champaign-Urbana, and in his free time, he has a passion for playing bass and drums. Bessie Schwartz helps the community interested in addressing global warming understand how to use YPCCC’s tools and integrate YPCCC insights into their strategies and tactics, while gathering feedback to inform further research. She comes to YPCCC with extensive experience designing, running and winning national and local grassroots campaigns, as the Field Director for Environment Colorado and as the Federal Field Coordinator with Environment America. In these capacities, she has overseen the generation of dozens of press conferences and hundreds of press stories and has helped designed the national and state field strategies for both of these organizations. Since 2009, she has also directed several record-breaking citizen outreach offices across the country, raising grassroots funds and building public support for clean water, clean energy and preservation. Bessie received her BA from Carleton College where she studied Philosophy and Environmental Studies. After graduating, she joined Green Corps, the field school for environmental organizing, and was awarded the Sarah Forslund Scholarship. Bessie developed her love of the environment while visiting the Rocky Mountains growing up. Issa Muhammed Hassan, an alumnus of Blekinge Institute of Technology and Hyper Island, is a web and digital graphic designer based in Stockholm. He loves hunting for creative ways to solve creative problems. Having elevated the performance of diverse organizations through expert alignment of innovative digital strategies, Issa has had the opportunity to work with many influential brands. 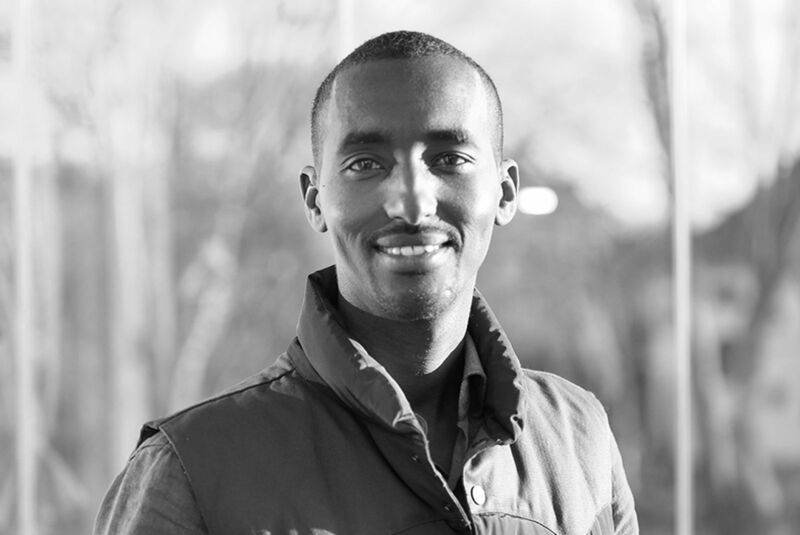 Issa is very passionate about volunteering to help raise awareness of drought in Somalia. He is also the co-founder and creative director at Abaaraha. 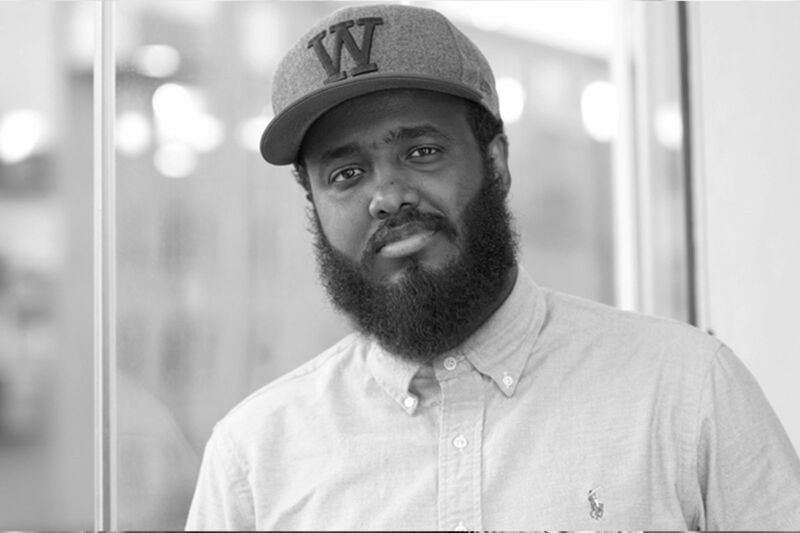 Mahad Malingur is currently working as section leader in the headquarters of the Swedish public employment service and co-founder of Abaaraha. Malingur is a former college teacher who received a Masters degree in political science, history and pedagogy from Stockholm University. Malingur came to Sweden in the nineties as unaccompanied refugee minor from Somalia. He has been active in the civil society for supporting his former country in the health and education sector and most recent drought crisis. Dr. Deqo Aden Mohamed is a Somali-born doctor who grew up feeding the refugees her mother was harboring. 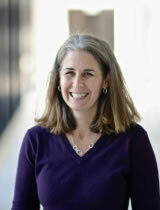 She earned an MD in Moscow in 2000 and was an OB-GYN resident in Russia until 2003. Deqo continually traveled back to Somalia during work holidays to serve internally displaced people in Mogadishu. She came to America as a refugee in 2003 and gained extensive experience working in health care. She became a naturalized American citizen in 2008. Dr. Mohamed worked with MSF (Doctors Without Borders) from 2008 to 2010 in Somalia during the measles outbreak in the country, she also led the MSF team for vaccination over 14,000 children under 5. Today, she works full time on the ground in Somalia. She leads all operations in the Hawa Abdi Village in Lower Shabelle, while ensuring the safety of the 300 families who have found permanent shelter in the community. She leads the 400-bed Dr. Hawa Abdi General Hospital, the Waqaf-Diblawe Primary School, a women’s education center, and a smart farming agriculture project. She simultaneously manages the administrative aspects of the Dr. Hawa Abdi Foundation as CEO of the organization in the United States. She also delivers lectures at different universities in Somalia. Deqo is the co-founder of Somalia Cancer Society where she actively raises awareness about cancer. Currently she has been selected to sit on the board of Fursad Fund, which is raises money to rebuild Somalia and create jobs for Somali Youth by Somali people around the globe. She is also advices on reproductive health at the Ministry of Health Somalia. She was awarded Glamour Women of the Year 2010 and Black Girls Rock at BET at 2012. Besides her work, Deqo regularly attends conferences and speaks on behalf of DHAF and on Somalia. She has been an invited guest speaker at the World Forum on Human Rights in Brasilia, Brazil, and participated at a ceremony on kidney diseases in Chennai, India. Deqo has been featured on media outlets such as TED, the Leonard Lopate Show, and the Daily Beast. Deqo received an honorary degree from Chatham University as a Doctor of Public Service. Carolyn Commons is a software developer at Ushahidi, a crowdsourcing platform used to collect, manage, visualize, and respond to data from marginalized populations and people crisis situations. Carolyn has a degree in International Studies from Indiana University, where she spent most of her time not studying, but piloting deployments for (the now failed) One Laptop per Child. From there, she worked on malaria-prevention efforts at the United Nations Foundation, focusing on fundraising partnerships and expanding bed-net distributions among refugees and displaced populations. Prior to joining Ushahidi, Carolyn worked as an Investment Officer at USAID's Development Innovation Ventures, where she sourced and supported cost-effective, evidence-based, and scalable innovations in the development sector. An avid traveler, Carolyn spent most of 2016 backpacking around the world, visiting 13 countries along the way. Tyler Kleykamp is the State of Connecticut’s Chief Data Officer, within the Office of Policy and Management (OPM); and is responsible for directing, managing, and overseeing staff and activities related to the collection, analysis, and dissemination of the State's enterprise information assets. In doing so, he leads the State’s efforts to use data to enhance the efficiency and effectiveness of state programs and policies. Tyler has previously served as Chair of the Connecticut Geospatial Information Systems (GIS) Council as well as the State GIS Coordinator. In addition, he has led numerous initiatives to improve data and information sharing including; emergency management and disaster response, transparency and accountability during the American Recovery and Reinvestment Act; and land use and economic development activities. In 2016, Tyler was the recipient of the U.S. Open Data Institutes’ “Open Data Pioneer” award and was named a “Data and IT Innovator” by the Atlantic Media Group’s Route Fifty. Jennifer Vasi only realized a few years ago that working with maps could be an actual job. Having come from a career in data integration and solution architecture for non-spatial data applications, she is now the Director of Geospatial Technology for a major P&C insurance company. It is there that she gets to work with real world applications of GIS, applying it to information about the insured, the agent, and the environment. Emily Wilson is a Geospatial Educator at the University of Connecticut Center for Land Use and Research. She has been with UConn for 17 years and is involved in a variety of remote sensing and GIS projects as well as web work with the goal of providing easy access to geospatial information and maps. Emily is a graduate of Connecticut College in Botany and Environmental Studies and the University of Maine in Forestry and Remote Sensing. Giuseppe Amatulli is a forest scientist and spatial modeler with expertise in computer science. His research activity is mainly dedicated to spatial modeling with special emphasis in species distribution model, areal distribution and potential shift under climate change condition, wildland fire occurrence and pattern recognition, and wildfire risk assessment based on human and biophysical parameters. He is daily dealing with high-resolution data in the context of complex and modern modeling techniques using stand-alone implementation process under Linux environment. He uses open source programming language and software (GRASS, R, PYTHON, GNUPLOT, AWK, BASH, QGIS, OPENEV, CDO) to accomplish large data processing in cluster processing keeping always in mind the ecological aspect of the research study. Molly Burhans combines her passion for people and the planet with her experience in design thinking, business development, and scientific research to understand and transform complex systems, manage diverse teams, and communicate ideas and processes through broadly-accessible media that brings people together. Molly has an M.S. in Ecological Design from the Conway School, where she was her class’ Sustainable Communities Initiative Fellow, and a B.A. in Philosophy from Canisius College. She worked in a yeast genetics lab seasonally for several years and has designed and developed professional graphic and web media for over ten years, some of which been featured in publications such as Landscape Architecture Magazine, Nucleic Acids Research, and the Association for Advancement of Artificial Intelligence proceedings. She co-founded GroOperative, Inc. 5(a), an indoor-vertical farming worker-owned cooperative in Buffalo, NY, USA in 2013. She has been involved with the Vatican Youth Symposium, Vatican Arts and Technology Council, United Nations Youth Assembly, the Buckminster Fuller Catalyst program and has been an invited speaker at numerous conferences and institutions. Raymond Clemens has a B.A. (with highest honors) from Oberlin College, an M.A. from the University of Chicago, and a Ph.D. from Columbia University where he studied under the direction of Caroline Walker Bynum. Before coming to the Beinecke, he served as Acting Director of the Newberry Library's Center for Renaissance Studies for two years and was an Associate Professor of History at Illinois State University for thirteen years, where he received the university's highest teaching award. He was a Mellon Postdoctoral Fellow at the Newberry Library and a British Academy-Newberry Library Exchange Fellow. He is the co-author, with Timothy Graham, of Introduction to Manuscript Studies (Cornell, 2007). His research specialties include medieval hagiography, Renaissance cartography, and the history of the book. Brett Flodine manages the Enterprise GIS System and the Open Data Platform for the City of Hartford, CT. Brett has 24 years of experience in the GIS field, and has been in Hartford for the past 11 years. Prior to joining the City of Hartford, he was the GIS Coordinator for Groton CT for 3 1/2 years and he worked as a GIS Project Manager for Fuss & O'Neill for 10 years performing Town wide GIS implementations for communities in CT, MA & NH. Mark Goetz is the GIS Director for the Connecticut Metropolitan Council of Governments where is he is responsible for leading the development of a regional GIS program. Mr. Goetz has 18 years of GIS experiencing working in the consulting, municipal and regional GIS sector with considerable experience working on land record data development, maintenance and migration projects. It is with this knowledge he has been leading the development of the State of Connecticut Parcel Standard. James Hackett began his career at Yale in 1987 performing data entry into the University’s mainframe system for the Physical Plant business office, when twelve employees shared one personal computer, two Wyse terminals, and four typewriters. He is currently a member of the University’s Information Technology Services group providing support for the Yale Police Department. In his current role, he has utilized GIS in the YPD’s daily operations, crime analysis and reporting, and in their strategic and tactical planning tasks. Today, he is here to explain how GIS is utilized to support the Federally mandated reporting of Clery Crime statistics. The analysis process has been simplified and shortened significantly, and the use of paper in that process has been all but eliminated. Daryl Jones' career has been marked by history-making campaigns and a relentless determination to improve the City’s financial position with balance budgets, pension initiatives, cost saving measures saving the City millions of dollars and advancing the City’s technology to the 21th century. In the spring of 2017, Daryl was nominated for Global CFO Excellence Awards 2017. Since 2014, the City has balanced its budget and increased its fund balance by $2 million. Responsibilities include bonding for the City’s capital projects and sitting on more than a dozen boards. In addition, Daryl is the Acting Chief Technology Officer and has taken on the task of overhauling the City’s aging IT infrastructure. In the past 4 years, the entire network system has been replaced and migrated from Novel GroupWise software to Microsoft Office 365 with Lync/VOIP. The City is now beginning to address financial, operational and social issues by leveraging data. Daryl received his undergraduate degree from the College of the Holy Cross, Worcester, MA and a Master’s Degree in Public Administration specializing in Public Finance from Robert F. Wagner School of Public Service, New York University, New York. Daryl has been involved in mentorship programs and other community related activities such as speaking at high school events for college bound students motivating them to work hard toward their goals. He is a native of New Haven, CT and has a vested interest to make sure New Haven reaches its goal of being the number city in America. Daryl’s career in public service more than 25 years, in New York State with his recent position as manager at the New York State Comptroller Office providing financial review and oversight of the MTA’s $1.3 billion security program. He spent most of his career working at the MTA’s New York City Transit developing and monitoring multiple million dollar budgets for Information Technology and Maintenance of Way divisions. Daryl’s career began as an analyst working for Mayor Dinkins, the first African American Mayor for New York City which has inspired him to continue to make a difference in the community through public service. Daryl is the first African American to serve as Controller for the City of New Haven. Edward Juarbe has worked over 16 years in the GIS field (12 years in Utilities). Experiences range from Local Government data to Utilities. Design and implementation of GIS Servers and SQL Server database management. Build OOTB and ad-hoc solutions integrating GIS and conventional workflows. Greg Ostrinki is a graduate of Geosciences from the University of Connecticut. Since graduating, he has had jobs in Africa, Alaska, and this past summer worked for Connecticut Fund for the Environment / Save the Sound based in New Haven, Connecticut. While working on his GIS certification, Greg put his skills to use using GIS to create maps and perform analyses about fish passage and vegetation coverage. Mike Sullivan has worked as a GIS Analyst at the Western Connecticut Council of Governments (WestCOG) since 2015. At WestCOG, he works on multi-modal transportation analysis, geospatial data management, and web GIS administration. Michael received a B.A. in Geography and B.S. in Economics from Binghamton University, and a M.S. in Geographic Information Science from Lehman College. He has previous GIS experience at many levels of government ranging from New York City’s Department of Information Technology and Telecommunications to the United Nations Division for Ocean Affairs and the Law of the Sea. Mike Towle oversees the environmental planning at WestCOG. He works with municipalities and various environmental organizations on matters of land, water, and energy sustainability. Additionally, Mike provides support in GIS and data analytics. He received a B.S. in Environmental Science from the University of Massachusetts, Lowell and an M.S. in Geography from Clark University. Mike has professional interests in streamlining government systems through the use of data science and automation. Adam Ziegler is an IT professional with roots in GIS. Most of his experience is with data management, process improvement, and automation. He is now focusing on Database Administration in Oracle and SQL Server along with serving as a GIS Technical Architect. He began his career in data extraction, which led to data management and automation at BAE Systems. That experience led to becoming the SDE Administrator for Chester County, PA. He learned a great deal about change control, data management in an Oracle RDBMS and administering ESRIs ArcSDE software. His specialties are Database Administration Experience with Oracle and SQL Server. His Esri software competences include ArcSDE, ArcGIS Desktop, ArcIMS, ArcGIS Server, while programming includes VBA, VB.NET, VB Scripting, and Python.